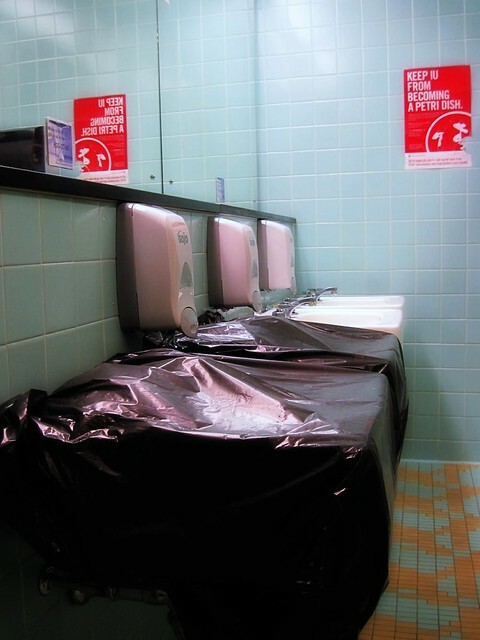 The 4th floor women’s restroom in the west tower is sporting trash bags over two of its sinks. They’ve been there awhile, judging by the layer of dust on top. I think I may need to take a little tour of the women’s restrooms in the building tomorrow, to see if there are any more black trash bags being employed in a similarly unorthodox manner.